December 2017 Update: Due to the horrendous allegations that have been levelled at T.J. Miller regarding sexual assault and transphobia, this episode has been removed. 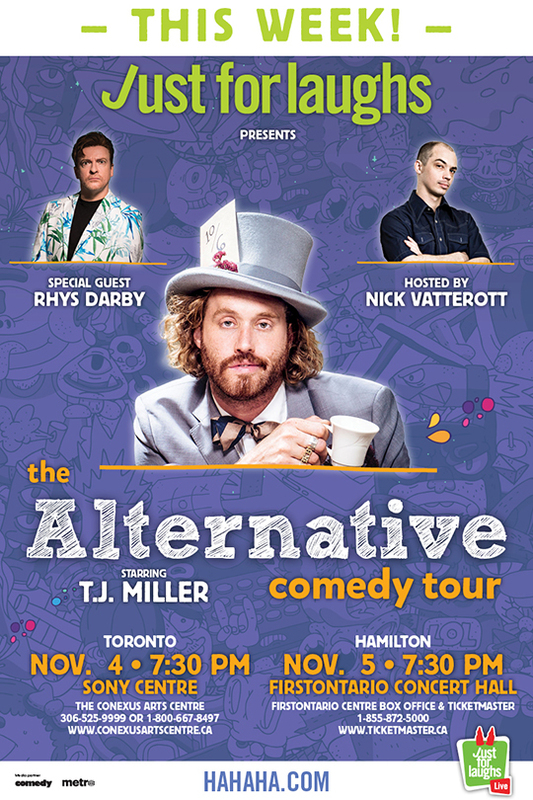 T.J. Miller talks headlining Just for Laughs’ cross-Canada Alternative Comedy Tour, leaving Silicon Valley, the state of pop art, and more. Sponsored by Pizza Trokadero, the Bookshelf, Planet Bean Coffee, Grandad’s Donuts, Freshbooks, and Hello Fresh Canada.